Sure, bicycles are for riding around town, commuting to work and running errands. 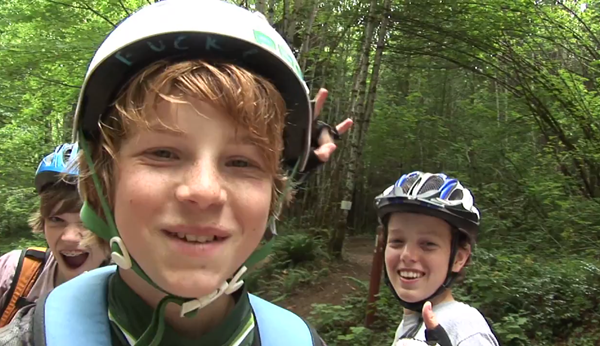 But the people in this program are taking their pedaling to new heights on wild adventures in various ways. Follow along the journeys of people who are doing conquering amazing feats on their bikes. You’ll leave this program inspired to ride more, go further, get out and explore. Russ and Laura showcase their love of bicycle travel. A glimpse the Northwest Trails Alliance day to get more kids riding mt. bikes. Go light. See the world. Explore. A 9.3 earthquake has hit the region – how will we survive? Bikers to the rescue! In this simulation competition, bikers retrieve 100 lbs of supplies from eight checkpoints, showcasing strength, speed and agility. Sometimes things get in the way of riding your bike, but this young boy perseveres. Puerta Vallarta’s BMX crew welcomes Manuel Ponce as he shows of his skills on the streets of Vallarta. During Hurricane Sandy, filmmaker Casey Neistat and a few other bold bikers adventured until the power went out. 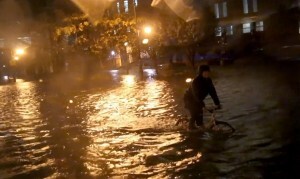 Bikes allowed them to navigate the high waters that stranded cars as they explore the desolate streets of New York City. 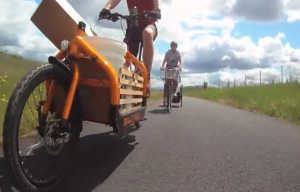 An obsessed biker completes a 100 mile bike ride – in a circle. Some people have addictions and obsessions, some more than others.